Today’s trend day post was inspired by my Saturday Street Style post. 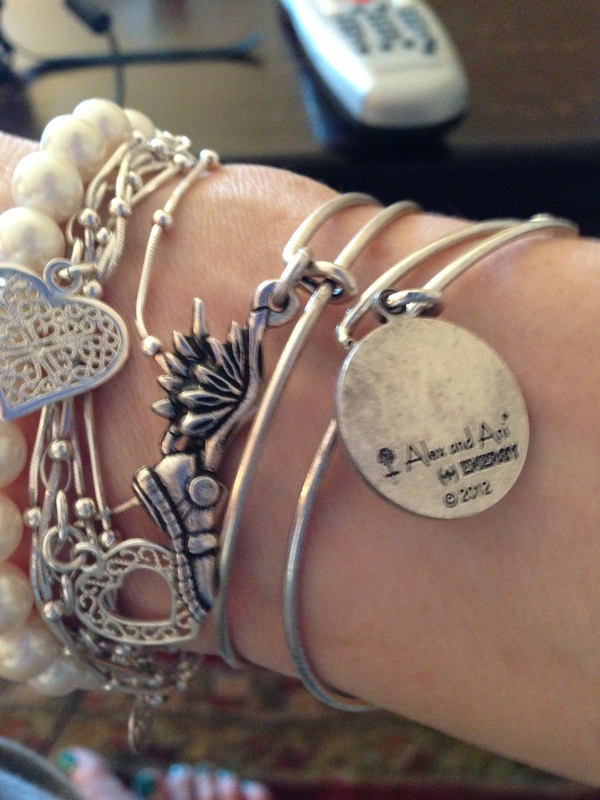 If you read Saturday’s post, you know I did some jewelry shopping. 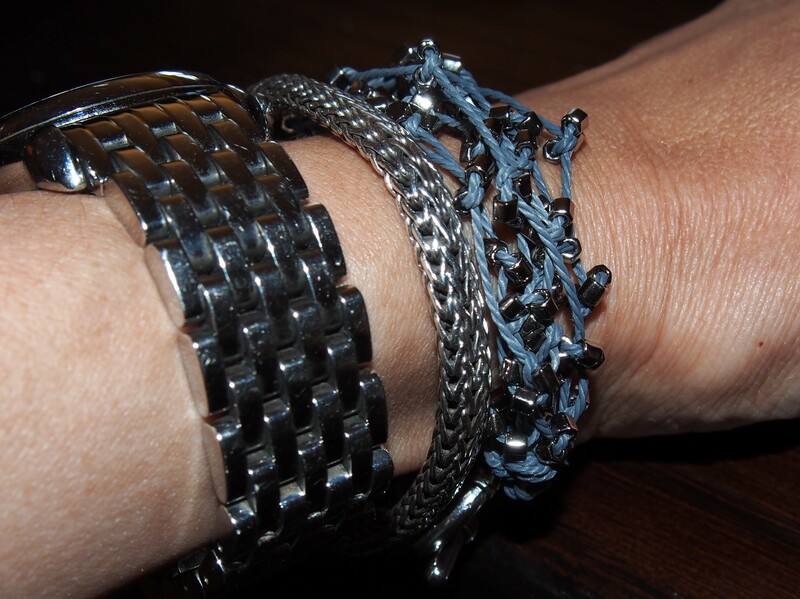 I bought three new bracelets and saw some stylish women modeling my trend day topic: stacked bracelets. Picture from her website. Buy her pieces at Marc Harris Salon 115 Newbury St. 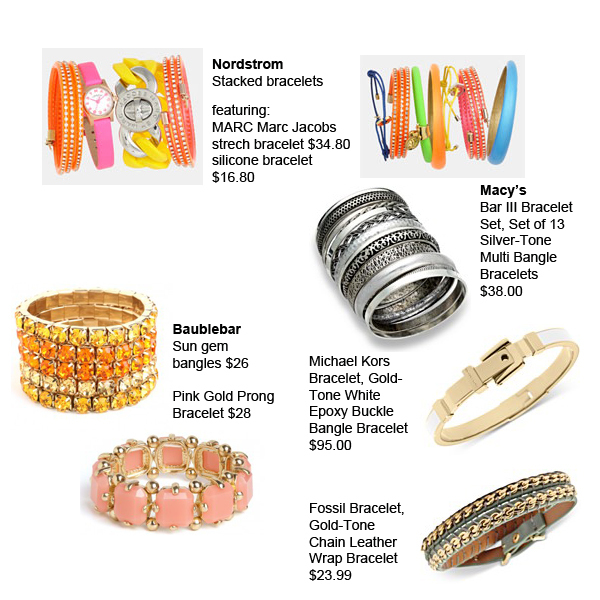 The great thing about this trend is you can start by going “shopping” in your own jewelry collection. 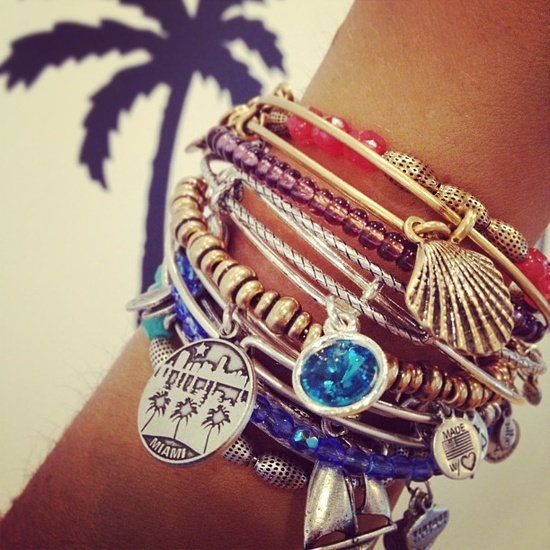 Start by combining a variety of bracelets, you can start with three or four and build up to whatever number you are comfortable with. 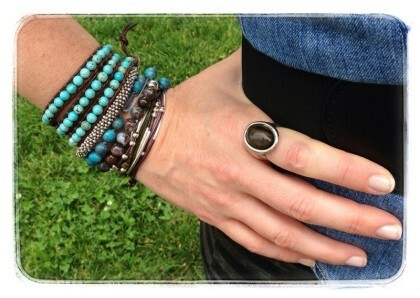 Any style will work: chunky, thin, bangle, wrap, silver, and gold. Combine your expensive pieces with your costume jewelry. 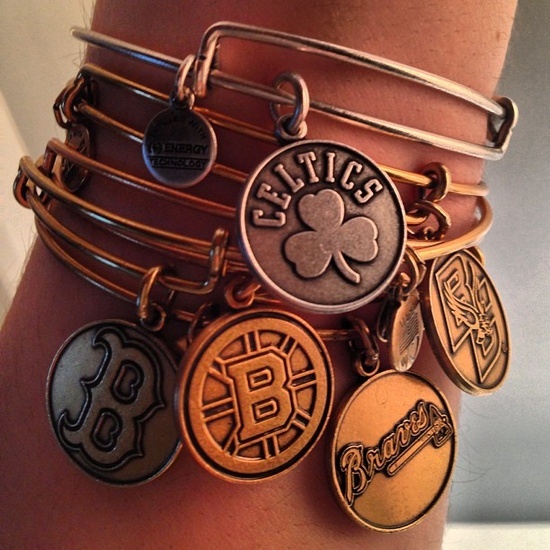 Stack the bracelets with your watches. Online shopping results: Shopped at Macy’s, Nordstrom, and Baublebar. You can wear this trend with almost any outfit.